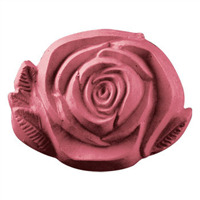 Mold soap and cosmetics into small beautiful roses with this silicone mold. The finished soaps can be used as small guest bars or embedded into the top of a soap loaf. Pair with a pink or red color and a lovely floral fragrance to complement the design. Melt & Pour Soap. Cold Process Soap. Hot Process Soap. Lotion Bars. 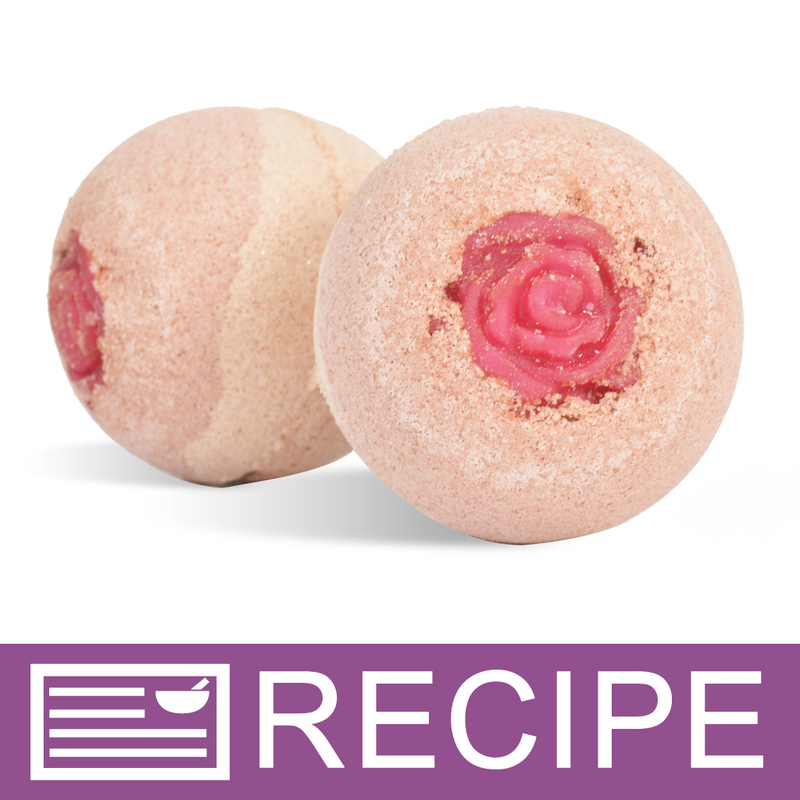 Bath Melts. Silicone construction allows for easy soap removal. 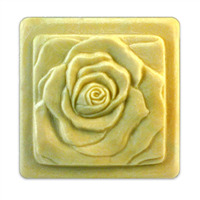 Detailed rose design in each cavity. 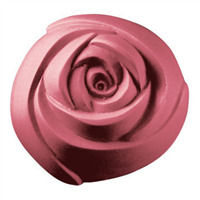 Lovely as embeds to decorate rose scented soap slices! Mold Dimensions: 8.25" x 5.75" x 0.5" Wash molds in warm, sudsy water. Bar Cavities: 12 Bar Depth: 0.5"
"well made larger than expected"
COMMENTS: using in conjunction w/my bath bombs....too cute! COMMENTS: This little guy is standing up well to multiple uses. So far, every mold I've purchased here has held up better than anything I buy at the store. COMMENTS: Perfect Roses every time. COMMENTS: BEAUTIFULY molded rose 'tops'. They are gorgeous! 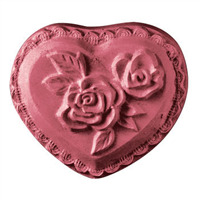 • the mold makes beautiful roses!